New Camper registration begins the week of December 13. The registration Newsletter has been emailed to families of campers who attended in 2017 and/or 2016. Camp Descriptions are available at our website. Follow the link to registration information. Be sure to read our TIPS and make your registration plans ahead of time. Earn High School Credits on horseback! 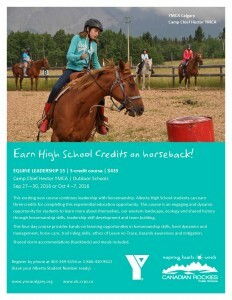 Camp Chief Hector YMCA and Canadian Rockies Outdoor Learning Centre (Canadian Rockies Public Schools) are pleased to announce a new 3-credit program – EQUINE LEADERSHIP 15. 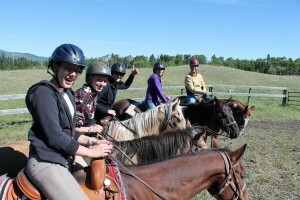 This exciting new course combines leadership with horsemanship. Alberta High School students can earn three credits for completing this experiential education opportunity. This course is an engaging and dynamic opportunity for students to learn more about themselves, our western landscape, ecology and shared history through horsemanship skills, leadership skill development and team building. This four-day course provides hands-on learning opportunities in horsemanship skills, herd dynamics and management, horse care, trail riding skills, ethics of Leave no Trace, hazards awareness and mitigation. Shared dorm accommodations (bunkbeds) and meals included. Spring is just around the corner and our excitement for opening two new child development centres this summer is growing just as fast as the tulips sitting on my mother-in-laws windowsill! 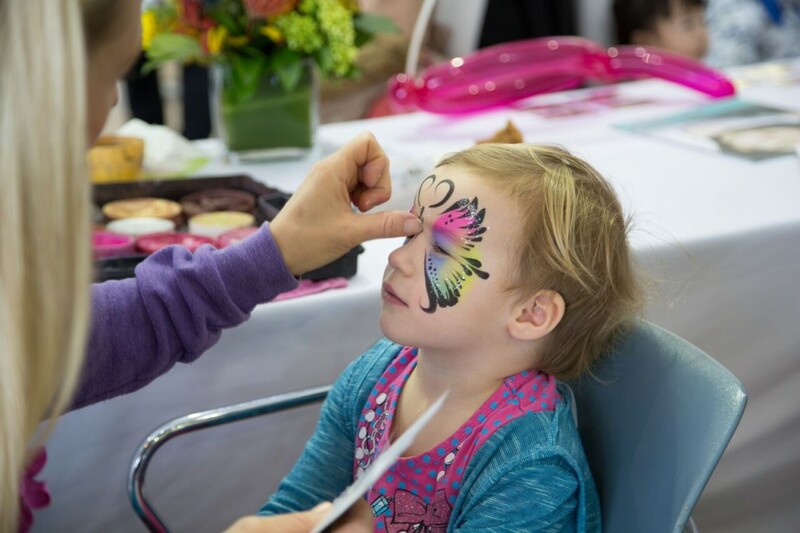 During February and March we enjoyed meeting many new families as they participated in the three open houses we hosted at the Shawnessy YMCA Child Development Centre. It was great fun to showcase our play-based learning curriculum as well as floor plans for the child development centres as well as the Remington YMCA also scheduled to open this summer. We have certainly seen registration pick up these past few weeks and encourage families who have not yet contacted us to do so as soon as possible – we currently have a waiting list for infant spaces with toddler and preschool spaces not far behind. 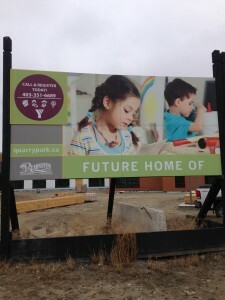 Some of this may be due to a new addition to the billboard signage located at the Quarry Park Child Development Centre location – check out the familiar burgundy circle with the Y logo! As we get closer to opening we will be scheduling open houses at the new facilities as well as orientation nights for registered families. Spring/Summer Program Registration Now Open to Everyone! Spring Program Registration is now open to everyone! 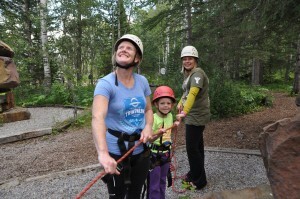 YMCA Calgary offers a variety of programs to accommodate all children, youth, adults and families. You do not need to be a YMCA member to sign-up for our programs. We strive to serve the community by offering programs to promote healthy lifestyles, strong families, and positive youth development to help build healthy spirit, mind and body for all. There are many ways to register for a program — by PHONE, IN PERSON or ONLINE (YMCA members only). Click the link below to register for Programs, view and change your YMCA account information (including linked memberships) and access your receipts. As a member, you ALREADY have an account. Contact your YMCA location for your login information or access Member Zone and Click Login > Forgot login information? to get started. Please note: Members on Financial Assistance will not be able to receive a discounted rate on Programs through Member Zone. Please call or visit your YMCA location to register for programs. Join us on March 16 at Queen Elizabeth High School for our annual Information Night. Find out what your kids will be doing at summer camp, where they’ll be sleeping, meet some camp leaders, and have your questions answered by the Camp Director. Presentation begins at 7pm (please arrive at 6:50pm). 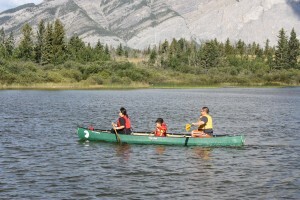 We encourage new campers and their families to attend if they are in the Calgary area. Everyone is welcome! No reservation required. Bring the whole family to one of our Family Weekends for some outdoor fun! *Families are encouraged to pre-register for activities. Participants may choose to leave a time block open to take a walk, read a book, have a nap or enjoy a cup of tea. Scan and email your Activity planning tool to our office on the day you register for Family Weekend. Register by telephone at 403-269-6156 or 1-866-430-9622. This is an open invitation to view Camp Chief Hector YMCA’s Lodges for your wedding venue. Both lodges will be set up to display your wedding reception with opportunities to see our accommodations, sample our food and tour the stunning scenery that will provide the back drop for your ceremony & photographs. We will be open on Sunday, February 28 2016 from 10am until 4pm (Food samples 12pm-2pm). Please RSVP to john.boardman@calgary.ymca.ca with the time you intend to arrive on site and how many guests will be attending. Directions to Camp Chief Hector YMCA. See our listing at Eventective or Request a quote for your booking. Are you interested in learning more about the new YMCA childcare centres scheduled to open in summer 2016? Please join us at one of our scheduled open houses for families who have either already registered for one of the new centres or who are wanting more information about YMCA childcare programs. 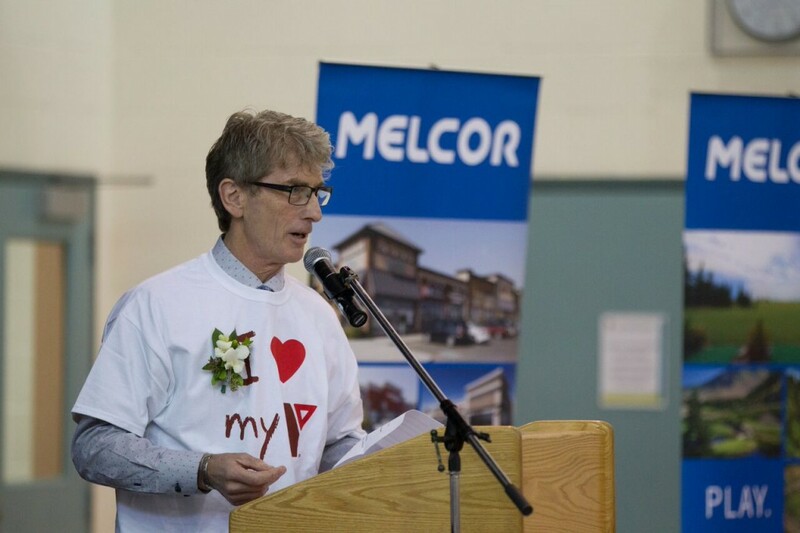 All open houses will be held at the Shawnessy YMCA Child Development Centre (333 Shawville Boulevard SE). 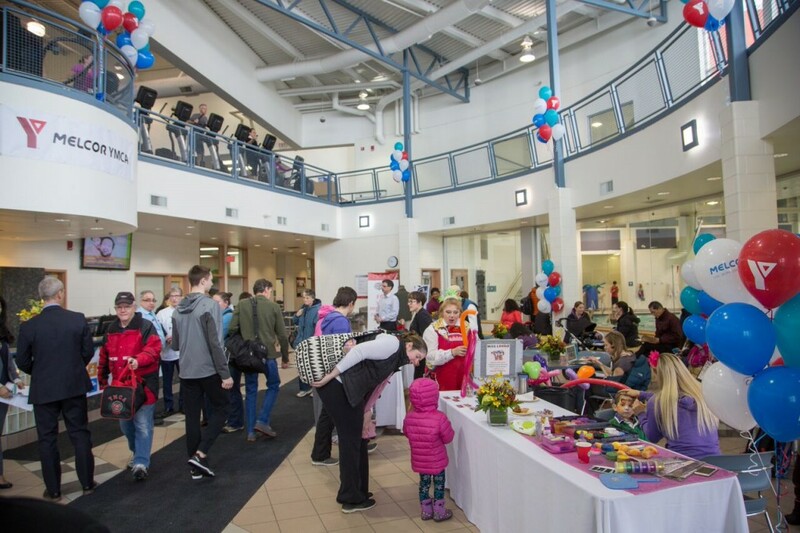 A casual event, the open house will provide families with the opportunity to tour a YMCA Child Development Centre, meet staff and learn more about the new centres. It will also showcase our play-based curriculum which supports all children to learn and develop. Children are welcome to attend although activities for children younger than 19 months will be limited due to the nature of the Shawnessy YMCA Child Development Centre. View more photos from today’s event. 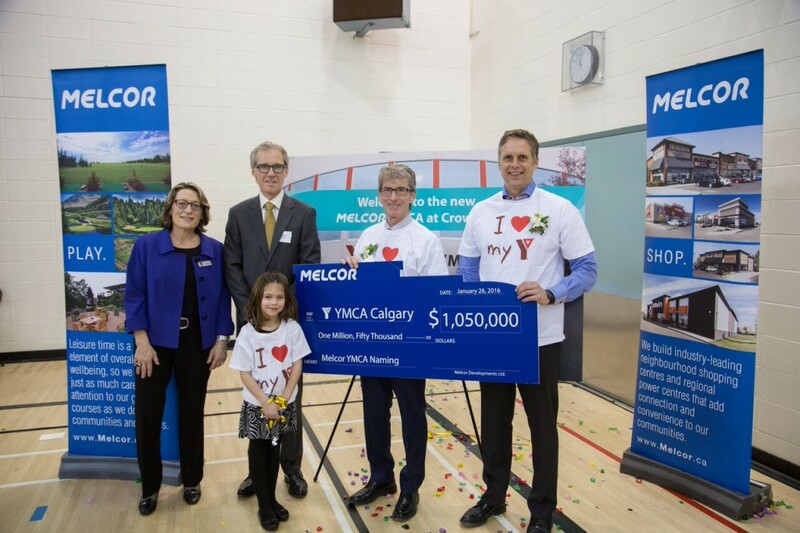 YMCA Calgary is happy to announce that the 2015 YMCA Strong Kids Campaign raised $1.6 Million and enabled over 20,000 children to participate in YMCA activities! This goal would have never been met without the immense generosity and support of thousands of donors. Despite economic downturn across the city, our donors reached into their pockets and their hearts to support a great cause that supports so many children. 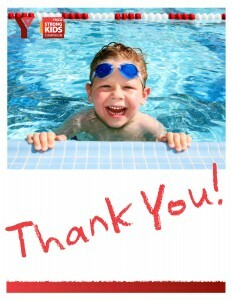 Each and every one of our donors is directly pouring into the lives of Calgarian children and for that, we say, “Thank you!” Every single child who learned to swim, painted a picture, made a friend, wrote a poem, sunk their first basket or won their first race, they also say, “Thank you!” with a beaming smile across their face. Each branch contributed greatly to reaching the financial goal of $1.6 Million and their contribution cannot go unnoticed! This program could never move forward without the continued support from all YMCA branches across the city. YMCA Strong Kids is an annual fundraising campaign to raise resources to support proven YMCA programs that give kids the opportunities they need to reach their full potential. Our goal is to help kids live healthier, happier lives today, and grow into productive adults in the future.